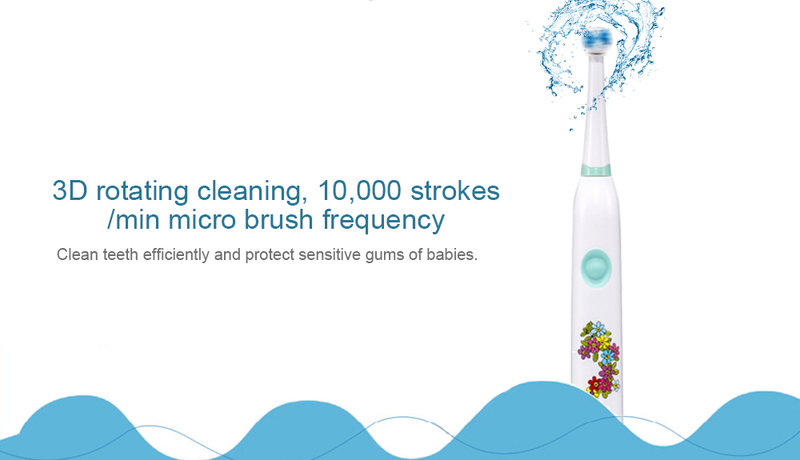 The Sonic Electric Toothbrush is designed with your baby in mind. 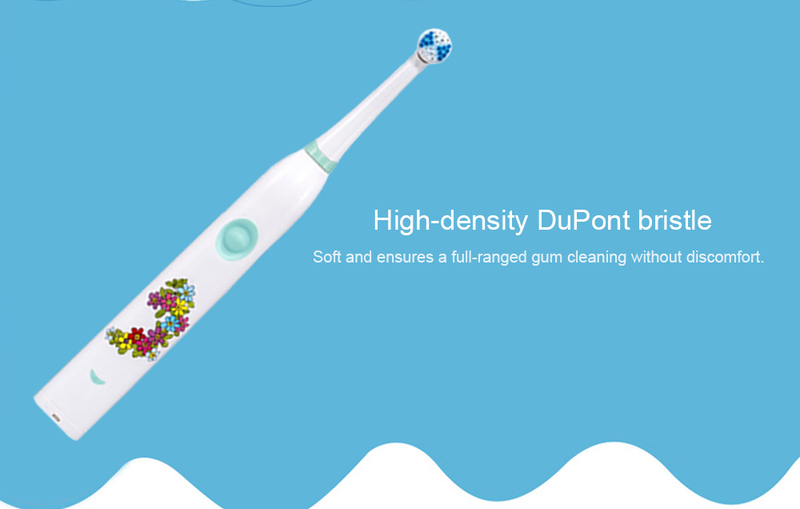 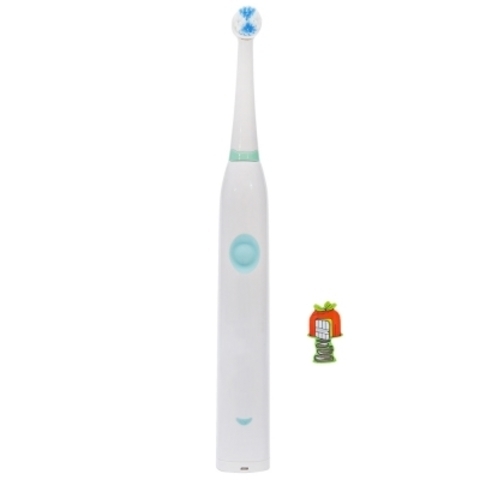 It features Extra Soft Bristles and gentle vibrations that gently massage sensitive teeth and gums of your kids to relieve discomfort. 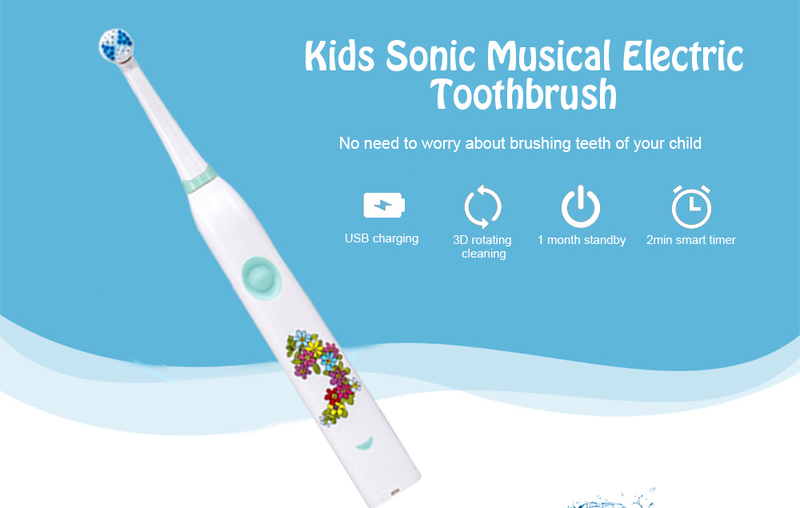 This is the perfect introductory sonic toothbrush for your toddlers and it makes brushing fun! 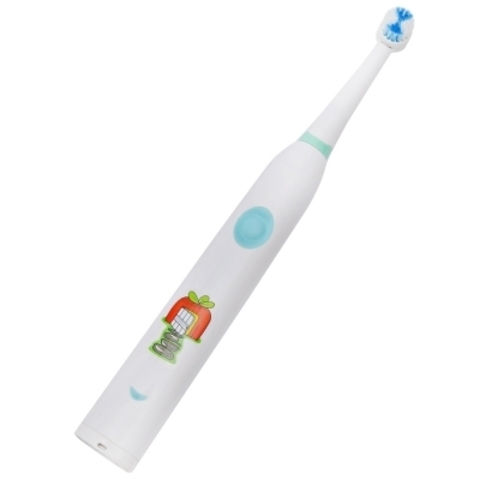 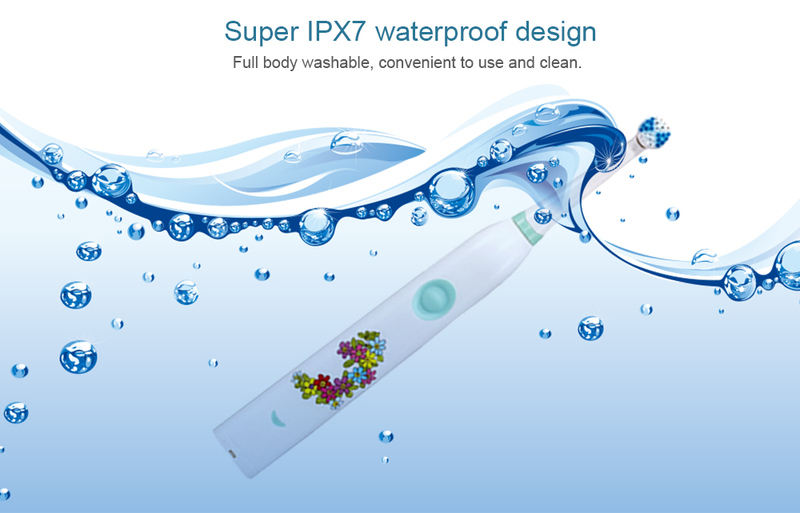 Note: the cartoon sticker on the toothbrush is originally not included. 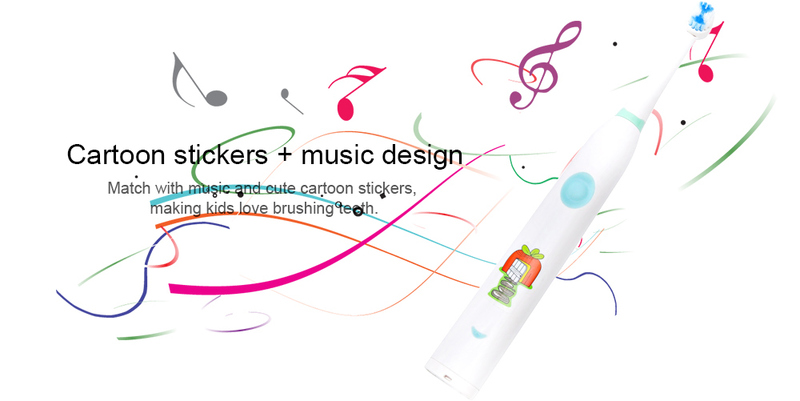 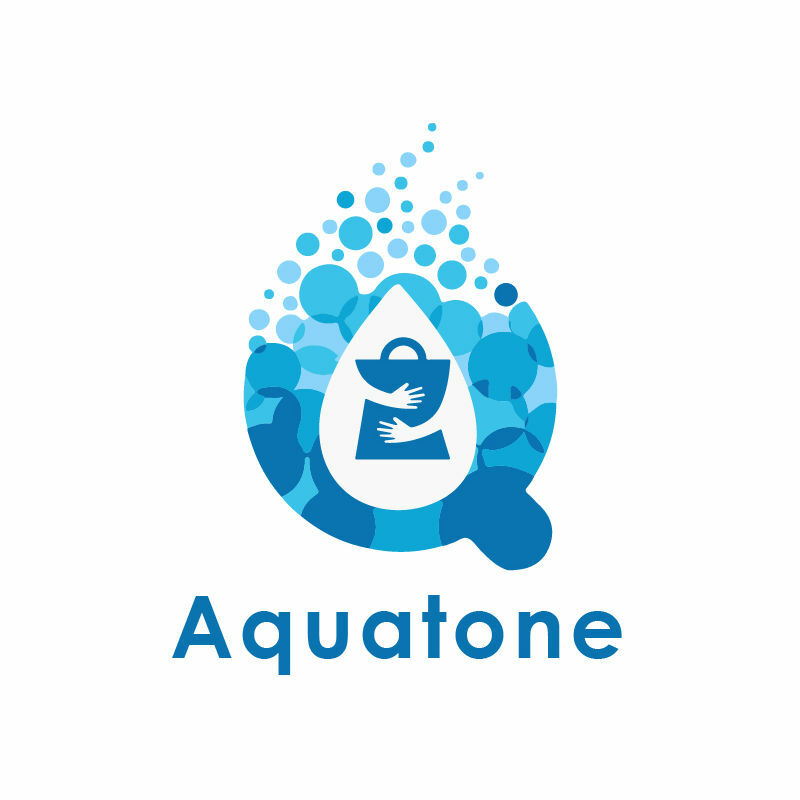 A piece of stickers will be delivered at random and you can paste as you like.